Accent your house with the Hillman Distinctions line of house numbers. Architectural Mailboxes Solid Cast Brass 5 inch Floating House Number Satin Nickel "1"
Architectural Mailboxes' Solid Cast Brass 5" Floating House Numbers are offered in a classically elegant, metallic finish. The 5" Cast Brass House Numbers can be mounted flush with the wall or you can leave the mounting screws partially out of the holes for a floating number effect. No holes or unsightly screw heads are shown. 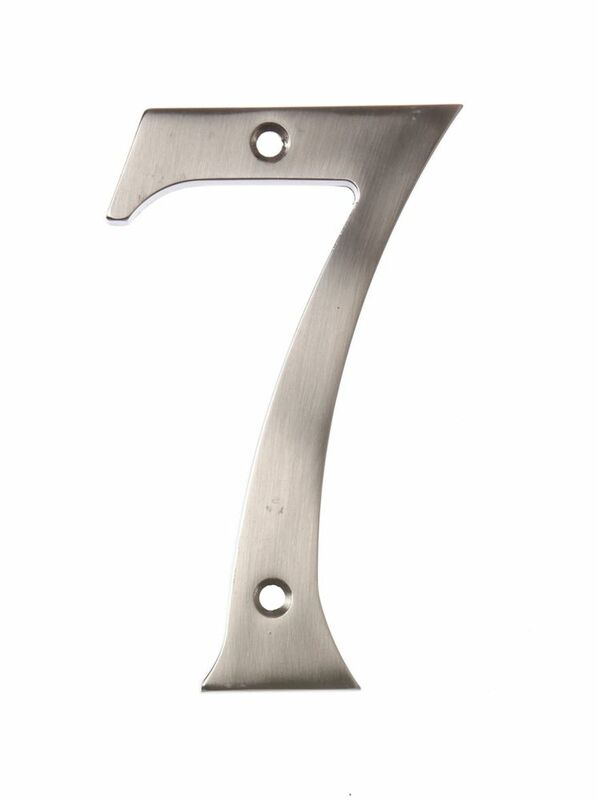 6 Inch Satin Nickel House Number 7 Accent your house with the Hillman Distinctions line of house numbers.